HD 1 9/32" shaft HD 1 1/4 Fiberglass shaft Blade size 8" x 22" Blade size 8" x 24"
From the proprietary epoxy/dynel/durable film matrix that is compression molded to the 1 1/4" diameter 6061-t6 aluminum .049" wall seamless tube shaft, to the riveted aluminum wear tip in the blade, these paddles are desirable to own.The same comfortable T-grip as always, available in different colors. (Black and Dark Green) The "Legend" comes in two shaft choices .The choice of the Heavy Duty shaft outside finished diameter is approximately 1 9/32". Or the choice of the fiberglass "skypole" shaft outside diameter is 1 1 /4".The flex and strength of fiberglass provides less fatigue to the guide and longevity to the paddle.Choose your blade size to make the perfect paddle for You! Paddle lengths are available from 60" up to 72" in 3 inch increments.66" standard shaft "Legend" weight is around 45 oz.These paddles are made to order. 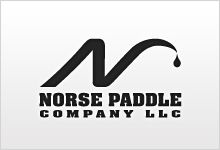 Paddles usually ship within 7 days of order payment . You will be notified by e-mail when your order ships.